A new study from Gas Safe Register has revealed that around 1.1 million gas jobs are carried out every year by tradespeople who are not qualified. This includes the installation of 147,000 boilers and 186,000 gas cookers amongst other jobs. In their investigation of illegal gas jobs in the UK, Gas Safe Register found that 3 in 5 were in an unsafe condition and 1 in 5 were deemed so dangerous that they had to be immediately disconnected. In this investigation of over 5,000 illegal gas jobs in no cases did the householder check the fitter’s credentials, with the majority of people finding installers through recommendations and some through an advert. The importance of gas safety can’t be stressed enough. An unsafe appliance can produce carbon monoxide (CO), a poisonous gas that has caused 22 fatalities and almost 1,000 injuries in the past 3 years alone. 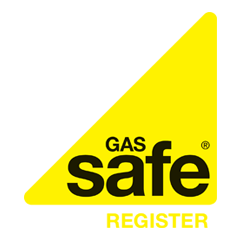 One of the best ways to ensure you aren’t putting yourself and your family at risk is to ensure that the appliance is fitted properly by a Gas Safe Registered engineer. You can find more information about carbon monoxide safety and check if an engineer is registered on the Gas Safe Register website.